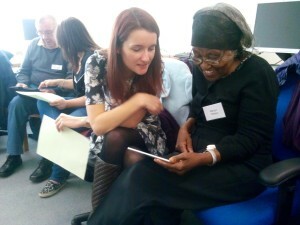 Members at our IT drop-in had a session about keeping safe on-line with Lisa from the SAFER project. We looked at things like how to recognise fake or phishing emails, how to know if a site is secure when shopping, keeping safe on internet dating sites and scams through social media. All those who attended said they found it really interesting and they learnt a lot. 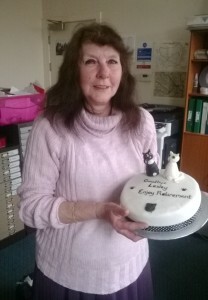 Lesley Pearson, our Activities Organiser, retires today. We want to thank Lesley for all her hard work and her commitment to Caring Together. But we are pleased to say that it is not goodbye altogether as Lesley has promised to come back and help us from time to time as a volunteer. Enjoy your retirement Lesley – You deserve it!! 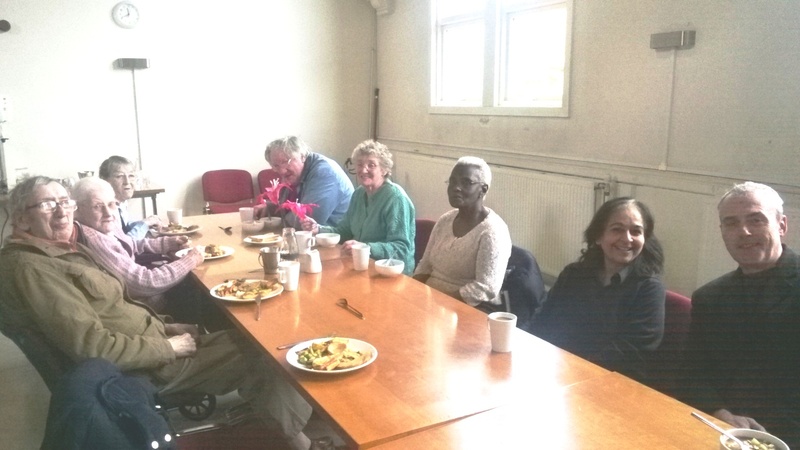 Caring Together members at the Real Junk Food Cafe at Woodhouse Community Centre this morning. The Cafe will be operating from the Community Centre on Mondays, Wednesdays and Fridays from 11am to 2pm and as usual will be operating on a pay as you feel basis. 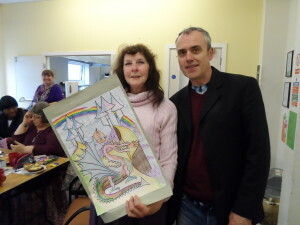 We had a very interesting and informative Parkinson’s Awareness session today, as part of Parkinson’s Awareness week. Around 20 members and volunteers attended and heard Liz Wolstenholme, a volunteer from Parkinson’s UK talk about her experiences with Parkinson’s disease and also answer questions and share experiences. Many thanks to Liz, who battled against the odds to be with us!! 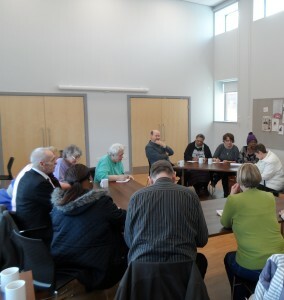 A meeting was held at Little London Community Centre this morning called for and facilitated by the Partners Project. 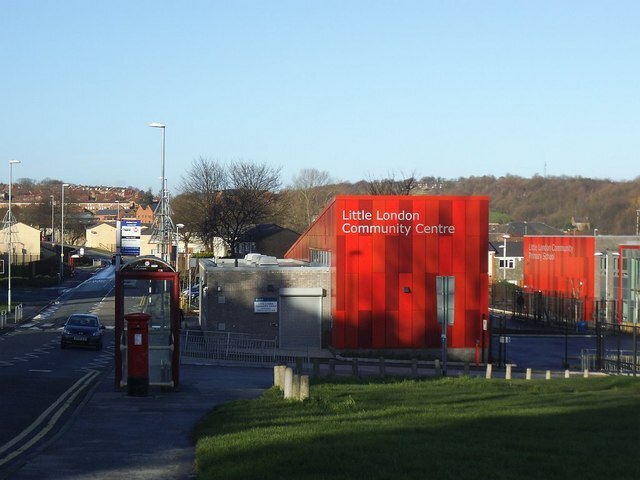 The Partners Project, an initiative of the Communities Board, has been working in Little London since last summer meeting with various combinations of residents, local organisations and agencies. One of the proposed initiatives that was discussed was to revive the Little London Community Day. Caring Together is committed to being involved in this important celebration of the area and its residents. Time is limited if we are to get this off the ground in time for this summer. If any group or individual has any wish to be involved in this or have any ideas for the day please contact John O’Dwyer in the first instance who will bring this to the attention of the Partners Project and interested parties.